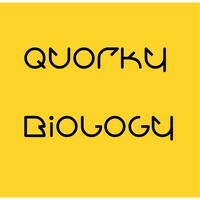 A blog to write/share anything biology ! Guest posts are more than welcome. A Letter to My Future Self: What Will Life Be Like in 2050? Bad luck or ‘good memory’ of bad cells? We were never meant to live forever. Lying down in my bed, trying to fight insomnia, I started wondering why cancer is so hard to stop? What if cancer is not working against us but working for us? May be disease itself is final evolutionary ‘check-point’ that stop faulty DNA’s passage to next generation.